Here at Reach Internet we are able to register and host almost all domains from anywhere in the world. With our years of experience in domain registrations nothing is usually beyond our capabilities. A few examples of the more popular domains are listed below. .co.uk is a fully open domain and is the largest Second Level Domain (SLD) in the UK. As a subdomain of .uk country code Top Level Domain (ccTLD) it is intended for use by commercial business and enterprises. The .uk registry has been operated by Nominet since 1996 and they are responsible for the stability and security of one of the largest internet registries in the world, with more than 10 million registered domain names. Originally derived from 'commercial', .COM was one of the first top-level domains in the Internet used when the Domain Name System was implemented in 1985. Since then, it has grown to become the largest top-level domain, with over 88 million .COM domains registered. Dot COM domains are registered in more than 350 languages worldwide, and are globally recognized. The .COM registry is operated by VeriSign. .NET (from "network") is one of the original top-level domains introduced in 1985, and has remained a popular extension throughout its history. Like .COM, there are no restrictions on .NET registrations. As of 2009, it is the fourth most popular domain. The .NET extension is operated by VeriSign. In addition to being an ideal extension for SaaS, network infrastructure, communications, and eCommerce companies, .NET domains act as a valuable complement or alternative to existing .COMs. .ORG (from 'organization') is one of the original top-level domains established in 1985. Operated by the Public Interest Registry (PIR), .ORG is popular among both commercial and noncommercial organizations, including community groups, sports teams, cultural institutions, and open source software projects. There are no restrictions on who can register a .ORG domain. ORG is the third-largest gTLD, with nearly 10 million registered names as of April 2012 according to the ICANN Dashboard. .ORG domains are recognized worldwide as the domain extension of choice for non-profits, foundations, philanthropic and cultural institutions, religious, civic, arts, social and fraternal organizations, health and legal services, clubs and community volunteer groups. People expect to find these types of organizations at a .ORG domain. Launched in 2001, .INFO (for 'information') was the first unrestricted TLD since .COM. It was one of seven new TLDs introduced, and is operated by Afilias. Like .COM and .NET, .INFO domains are unrestricted, meaning anyone can register a .INFO domain for any purpose. Of the seven new TLDs introduced in 2000, .INFO has become the most successful, with over 6.5 million registered. Since "info" is a recognized term in over 30 languages, this TLD is a truly global domain. There are no restrictions on who can register a .INFO domain. 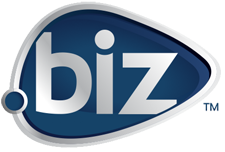 Launched in 2001, .BIZ (from "business") is a generic top-level domain (gTLD) intended for domains to be used by businesses as an alternative to .COM. As of December 2009 there were over 2 million .BIZ registrations, making it one of the top ten TLDs. The .COM market is so saturated that many customers may find their ideal domain name already registered. .BIZ is a popular alternative and is ideal for customers whose business name is already taken as a .COM. For those who already own the .COM for their business name, the equivalent .BIZ name can be used to protect brand identity. .NAME is a generic TLD introduced in 2001 and managed by VeriSign. It is intended for use by individuals, specifically for representation of their personal names. .NAME domains can be registered at both a second level and third level, and are IDN-compatible. .MOBI is the first – and only – top level Internet domain designed to help users find Internet content that will work on their mobile phones. MOBI is revolutionizing the use of the Internet on mobile devices. When a site ends with a ".MOBI" address mobile users can be sure that they will access a site that works on their phone. In 2010, mobile analytics firm Bango reported a 600% growth in traffic to mobile websites, based on a study of 50 million phone users worldwide. According to Bango CEO Ray Anderson, "The single most important app on any mobile device is the browser" to visit mobile websites. And contrary to what you may think from the many Apple ads you likely see, the best selling phone manufacturers globally are Nokia, Blackberry and then Apple, proving again that mobile websites are the most valuable and efficient way for businesses to reach customers via the mobile Web. dotMobi is quickly closing in on one million .MOBI domains registered with that number continuing to grow. .MOBI is now at their highest-ever number in the name base and are poised to be only the sixth gTLD to reach one million domains under management. Many well-known brands are hopping on the .MOBI bandwagon, including AT&T, Blackberry, Five Guys restaurants, JCPenney, Simon and Schuster, and even the city of London. There are billions of mobile phones in use around the world and it's estimated that 60% of consumers worldwide have access to the Internet via their mobile phone. Mobile Internet use is on the rise and only .MOBI domains say to Internet users that the site they are visiting is designed for use on a mobile device. 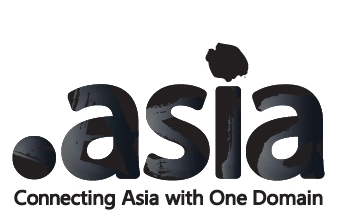 The .ASIA extension was introduced in 2006 and is overseen by Afilias and the DotAsia organization. .ASIA domains are targeted towards companies, organizations, and individuals in the Pan-Asia and Asia-Pacific region. With over 60% of the world's population and 90% of its languages, Asia is a key region of economic and technical growth. .ASIA is specifically focused on the Asia identity, but is versatile enough that it can be used by businesses, organization, or individuals across the region. In addition to being popular for regional Asian companies, it can also be adopted by international NGOs operating in Asia or global companies expanding into Asian markets.